At the NHS Confederation this year, there were some significant statements made from the main stage, that the new ten year plan would involve a process of real engagement with the public (to whom the NHS belongs) and involve genuine co-design and co-production. It was brilliant news and flows with all we know to be true about how we need a “new deal” between the NHS and the public. The five year forward deal, especially through all the great work of Helen Bevan at NHS Horizons, was clear that if we are to have an excellent and sustainable health service in the future, we need to mobilise a social movement around health and wellbeing. It is this kind of ‘new power’ dynamic that will be the real game-changer for a reimagined health and care system, fit for the 21st century. So, it is with profound disappointment that we hear there will be no time for this, as the plan all needs to be submitted and on the desk of the new Secretary of State for Health and Social Care within a few short weeks. This same old, top down, pyramidal reimaging/restructuring of how we provide care will deliver us the same old issues. I am not a lone voice in hoping that we can actually be given more time, to really talk to the public (especially those in our more deprived communities) about what they believe the ten year plan needs to include and what their role is in it. If we rush through this vital phase, we won’t get the ownership/buy-in for the transformative future we need. Please can we press a pause button and have these vital conversations, so that together, we really might achieve so much more? A few months ago, I wrote a couple of blogs exploring the social justice issue that is the vast difference between the health spend in the North, compared to the South. 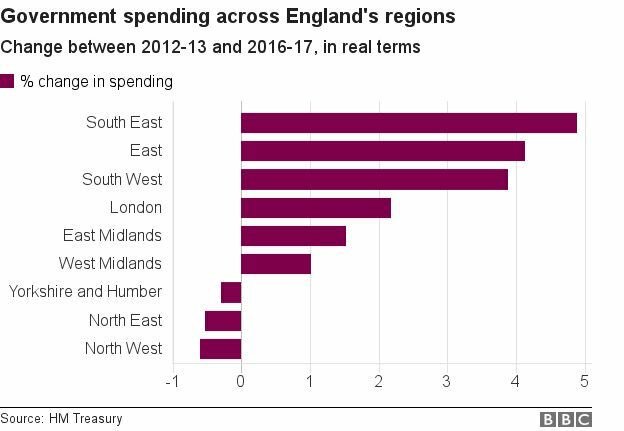 So, in the North, we already have the worst health outcomes in England with an underspend of around £800m per year, per head of population, compared to the South. Yet, over the last 5 years we have seen further disinvestment here at a time when we’re also being asked to make substantial savings! Why the Northern MPs do not seem to think this is worth making much noise about, I’m not quite sure. This is an economic issue, a political issue, a social justice issue and a humanitarian issue. As I take the conversation to our public about the difficult choices ahead of us, here in Morecambe Bay and Lancashire over the coming months, I wonder what the response to this information might be?